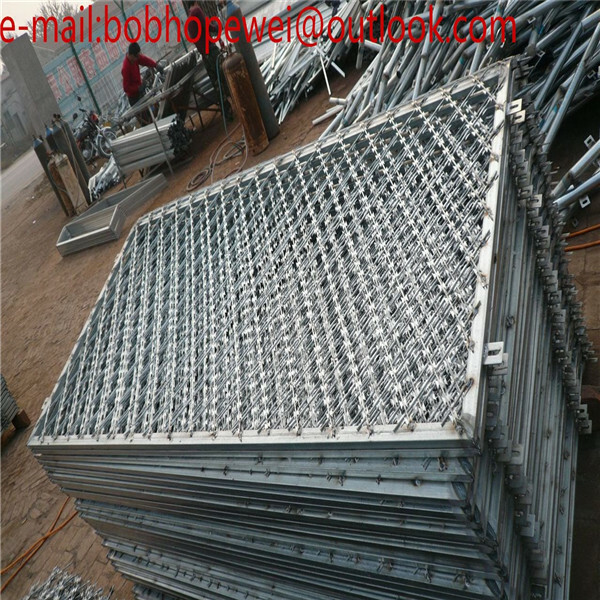 Razor barbed wire fence is usually made of galvanized steel blade or stainless steel blade. 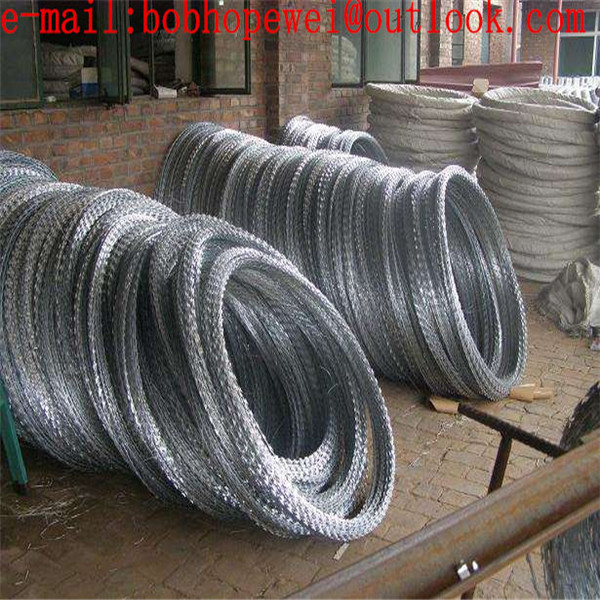 Two pieces of stainless steel razor wire or zinc-coated razor wire can be bounded together by clips to make it stronger.The spiral intersecting barbed wire presents an intersecting shape after opening with beautiful outlook and practical property. Single coil Concertina Wire is installed without clips, it runs in natural loops on walls.Cost less and can be easily installed. 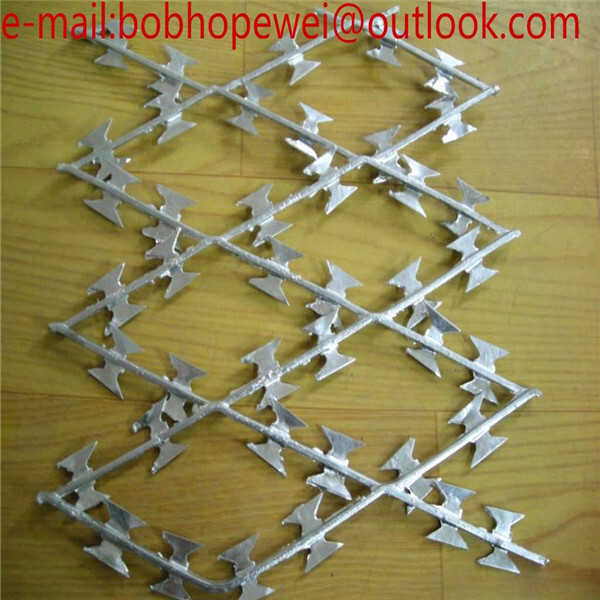 Two pieces of razor wire were bounded together by clips to make it more strength.The spiral intersecting barbed wire presents an intersecting shape after opening with beautiful feature and practicality. Flat warp razor wireis a new type of razor barbed wire. Press two loops into flat then expand them across. 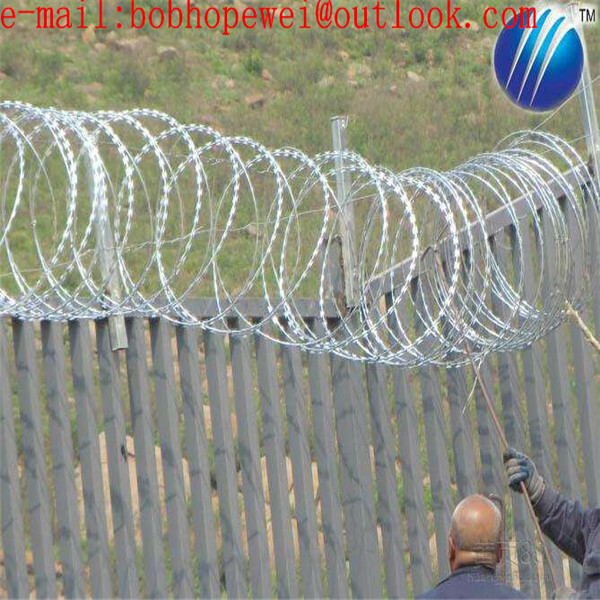 We usually use it together with been line razor barbed wire to build a defending wall, or use it alone as a fence. 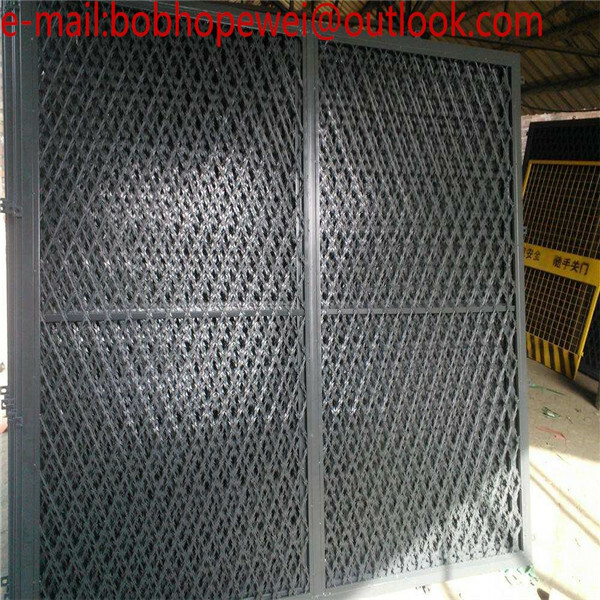 Welded razor mesh fence is a new form of razor bared wire mesh for security,it with practicality blade and the feature looks very beautiful.It can be used for guard net of fence ,doors and windows and also can be used in military.The specification can be designed as the customers' need. 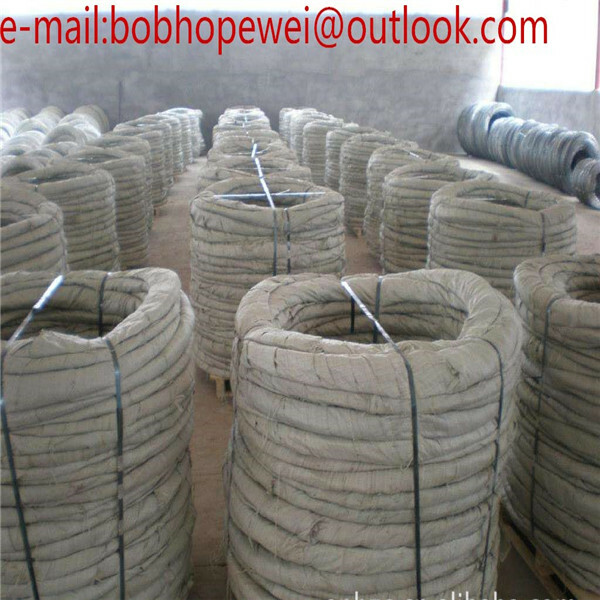 Mainly used for garden apartment,office unit,railway,highway,industry,agriculture,forest protection, military field,border posts,prison isolation protection and so on. Welded Razor Wire Mesh Fence is the ideal solution for any facility perimeter where an aggressive visual deterrent and physical barrier is required. We are committed to provide customers with quality products,perfect service and fast delivery at competitive price. * Your ordering is warmly welcome.Looking forward our cooperation. 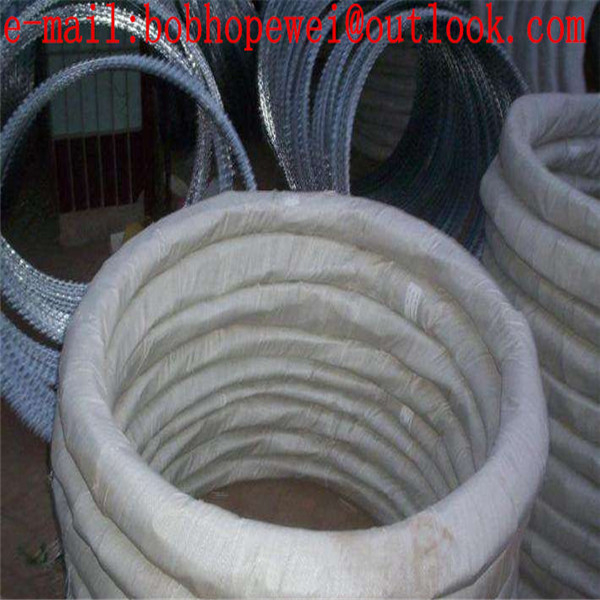 * If you are interested in our products ,please feel free to contact us.